Say “I Heart You” with Beads! Valentine’s day is right around the corner, so we’ve added more heart shaped beads to the mix! This huge heart focal bead, hand carved from a single piece of ebony wood, is my favorite! It’s more than 50mm across! 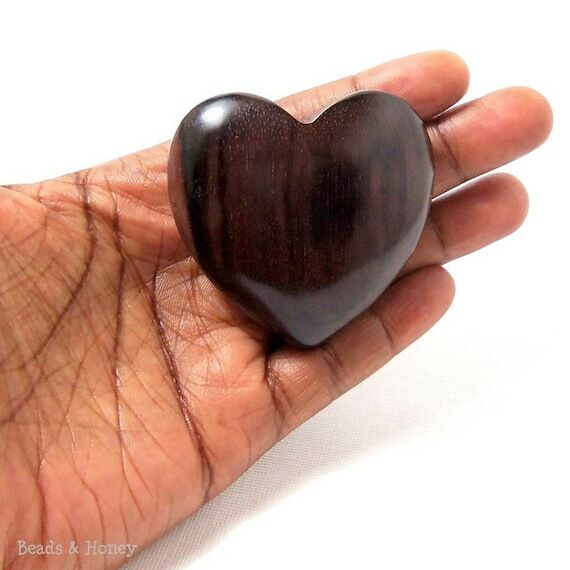 Ebony wood hearts are also available in smaller 40mm, 30mm, and 25mm sizes, perfect to make anything from earrings to a charm bracelet to a statement necklace. Want something a little lighter? Try new whitewood and rosewood heart beads in the 30mm size. The light pink overtones in the rosewood beads make these perfect for Valentine’s day designs. 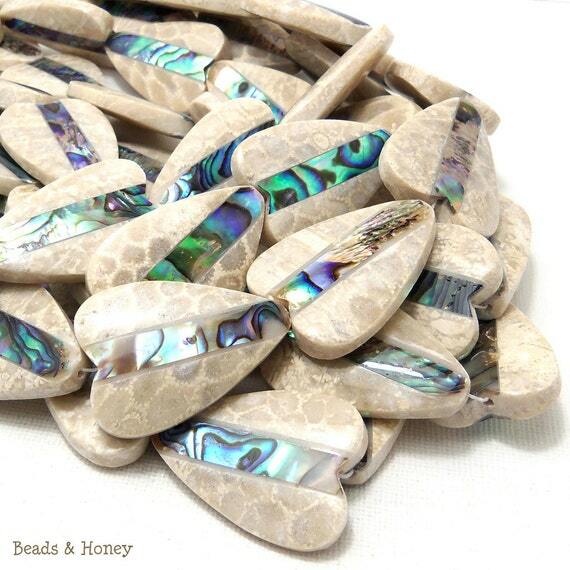 Mactan stone heart beads with inlaid abalone shell are ideal for one-of-a-kind designs! Mactan stone is a fossil stone that comes from the Philippines. The Mactan stone provides a neutral backdrop to the multi colored abalone shell inset. Only at Beads & Honey! Copyright 2014 Beads and Honey, LLC.